The Code Blue Campaign aims to end impunity for sexual abuse by UN personnel. AIDS-Free World's Code Blue Campaign seeks to end impunity for sexual abuse by UN personnel. This includes removing barriers to justice for victims, and establishing a fair and transparent system of justice where victims’ needs are incorporated and respected. The Campaign’s approach is rooted in a feminist perspective, a steadfast belief in multilateralism, and a commitment to ensuring that the UN Organization created by Member States to carry out their collective will fulfills that mandate according to the UN’s founding principles. 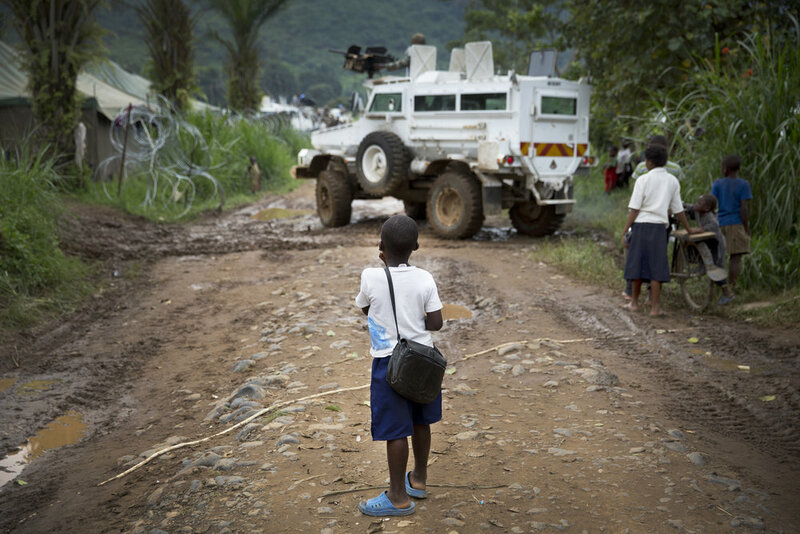 The Campaign affirms that the UN can and should be the ‘gold standard,’ leading the way on protecting civilians and addressing abuses wherever they occur. However, for nearly two decades, UN-mandated peacekeepers – both military and non-military personnel – have been embroiled in sexual abuse scandals. With victims instructed to bring criminal complaints against UN peacekeepers to the UN itself, justice is rarely achieved. In the best scenarios, complaints may be handled as an administrative matter resulting in the firing of an official (for a non-military UN official) or tried in a courtroom thousands of miles from the crime scene (for a soldier.) Either way, the victim is rarely involved or even informed, and basic principles of justice are contravened. The Code Blue Campaign seeks to right this injustice.